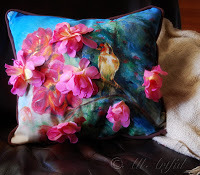 On the Hand Painted Embellished Pillow, I made these tie-dyed flowers because I wanted a realistic flower to pop out from the painting. 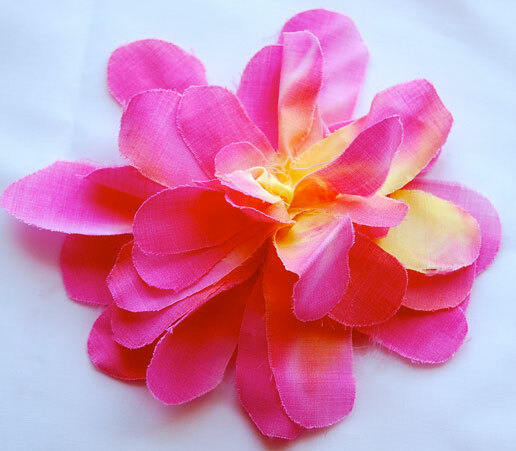 Here is the tutorial on how to make this really pretty flower (use for hair bow, pillow, shirt etc). 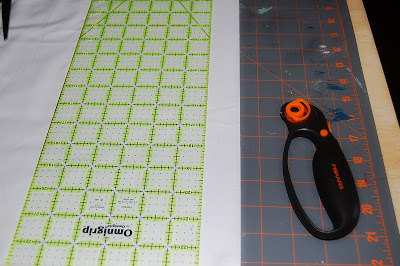 Cut several strips about 2 inches wide of white material. 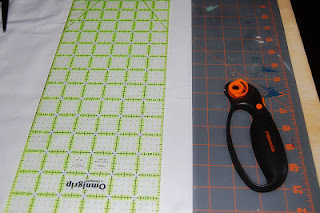 Then cut each strip according to the patterns above provided in actual size. I followed the instructions in the box of Tulip One-Step Dye. It was pretty simple. 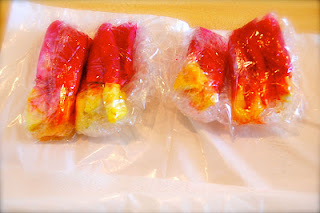 Once you have all the petals cut, wet them, then wrap a band about a 1/3 of the way from the bottom (I used Em's little hair bands - the ones that came in the box of Tie-dye were too large). 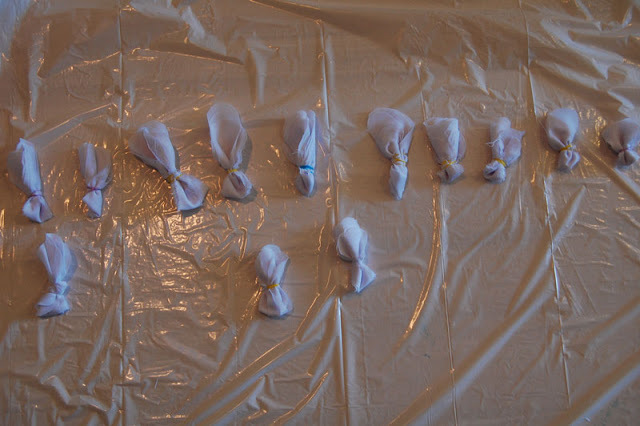 Then bundled several of the groupings together in Saran wrap. The instructions said to leave on for 4 - 8 hours, longer for deeper color, I left it on overnight cause I was working on the pillow painting. Then threw them in the washing machine by themselves and dried them by themselves as well. 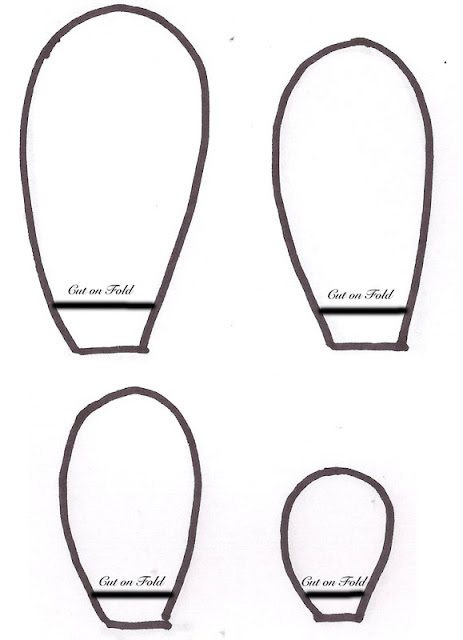 Then I laid out the flower strips grouped by size. 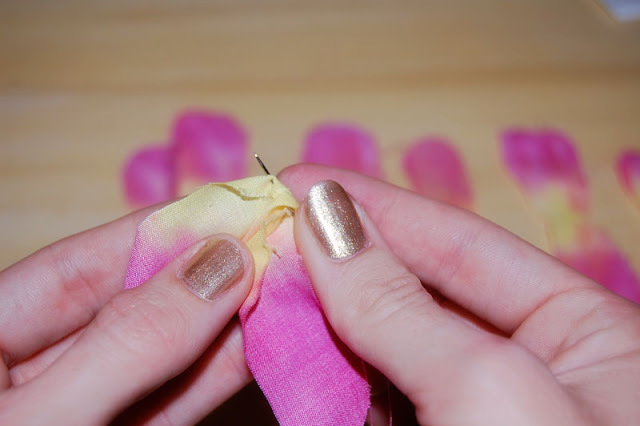 Start with the larger strips, twist the center of the petal and insert the needle. Add about 5 petals of one size before moving on to the next smaller size. When you get the fluffiness that you want, run the needle through the grouping a couple of times and tie off. And Ta-Da you have a really cute flower!